Mark Webster BSc, DC, MSc, MSc, FRCC, FBCA, FECA, SFHEA. Mark Webster graduated as a Chiropractor in 1993 from the Anglo-European College of Chiropractic (AECC) in Bournemouth. After graduation Mark worked in a busy chiropractic clinic in Northampton treating a wide variety of patients, from professional sports players to young children and the elderly. In 1999 he moved to Cardiff to help develop and teach upon the then new, chiropractic degree course at the University of Glamorgan (now the University of South Wales). During this time Mark has helped train over 1000 chiropractors and was the Head of Chiropractic at the University of South Wales until 2018. Mark is still actively involved in chiropractic education and is currently the External Examiner for the Masters of Chiropractic degree at London South Bank University. Mark has lectured extensively around the world on topics including: low back and neck pain management, shoulder rehabilitation and functional assessment. He has also contributed to several texts books on a range of topics including chiropractic care of the older person, management of pregnant patients, and the diagnosis and management of low back pain. Throughout Mark’s academic career, he has continued to see patients and has a special interest in postural rehabilitation and treating shoulder and spinal pain (including intervertebral disc problems). Mark has undertaken considerable postgraduate training and holds two post-graduate master degrees; one in Clinical Chiropractic (AECC), focusing on evidence based active rehabilitation and the other in Pain Management (Cardiff University). In recognition of his expertise, Mark has also been awarded Fellowship of the Royal College on Chiropractors, the British Chiropractic Association, the European Chiropractic Academy, together with a Senior Fellowship of the Higher Education Academy. 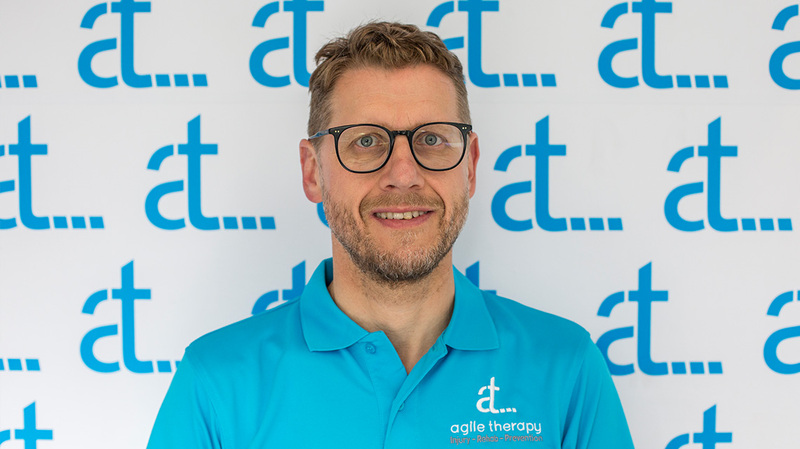 Mark is delighted to be part of the team at Agile, where he hopes to be able to continue helping people with a wide variety of musculoskeletal problems. Book an appointment online with Mark.